Dead branches drop off healthy, living trees all the time, and wood knots appear in the trunk where branches died. Knots are imperfections that cause living wood grain to grow around them. These imperfections are just part of what makes wood a beautiful material with which to work, but can also contribute to possible defects in structural strength for construction lumber. Wood knots make beautiful wood displays. Ironically, it is the very curves and bends in wood grain that make knots so attractive to view. The wood grain waves its way around the knot. If you have a closer look, notice how the grain pattern slopes up to 90 degrees to get around wood knots. Remarkable. This is why many consumers enjoy having decorative wood with knots. While wood knots carry visual appeal, they adversely affect wood strength. Wood strength in knots can be assessed in two ways: tensile strength and compressive strength. These measurements allow us to predict how much load (weight) wood can safely bear before collapsing. Tensile stress elongates or expands an object. Compressive stress shortens or compresses the material. Since knots are defects which weaken lumber, this weakening effect is more serious when the lumber is subjected to forces perpendicular to the grain and/or tension than when under load along the grain and/or compression. Please note that the extent to which wood knots affect the strength of wood depends on their position, size, number, and condition. Wood knots weaken wood strength. In fact, knots materially affect cracking (known is the US as “checks”; known in the UK as “shakes”), warping, and the ease of working the lumber. 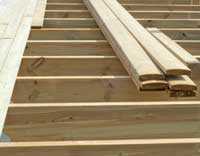 They are defects which lower the lumber’s value for structural purposes where strength is critical. Manufacturers account for the presence of wood knots in lumber grading and knots are classified according to their form, size, soundness, and the firmness with which they are held in place. Frankly, the knot lowers the wood grade. Encased knots loosen during drying. The dried knot is smaller than the knothole and sometimes falls out during handling or machining as nothing can be done to prevent the loosening of dead knots during drying. Fewer dead knots will fall out if the final moisture content (MC) of the lumber is kept as high as possible before machining. Consumers can benefit from understanding that wood knots are a perfectly natural indication of wood’s growth process. On the other hand, experienced builders understand the circumstances in which wood knots may have an impact on wood strength in structural framing. Such a useful article.Wood is not an easy material to work with. how do you measure the size of a knot in timber flooring? Is there a correct way to do this? For lumber grading purposes, there are procedures for correctly measuring knot size. Where are you located, and please provide more explanation? This seems very unusual, for a knot to grow. Most often, as you read, the knot will shrink with time, and might even fall out of the board in extreme cases. Maybe you are still getting some moisture ingress into the wood. 1. What type of subfloor do you have, and was the subfloor tested for moisture prior to installation? 2. Was the wood flooring itself tested for moisture with an accurate, calibrated moisture meter prior to the installation? If so, what was the average moisture content? What is the relative humidity in the room? 3. Was the flooring acclimated in the room prior to installation, and if so, were most of the faces of the wood flooring exposed to the room’s environment? Hi Ron, we are getting a new deck. We asked for high quality pine lumber. I noticed the lumber yesterday after the contractor left, and it had a lot of knots in the wood. Is high quality wood full of knots? He is finishing up the framing today. ‘High quality’ is a subjective term. In the world of lumber, we use the term ‘grade’, and the grading of lumber is very ‘objective’ rather than ‘subjective’. Lumber is graded for structural integrity and/or visual characteristics. Example: the higher (more expensive) grades of lumber do not typically have many knots, and even knot size is graded for in the sawmill. 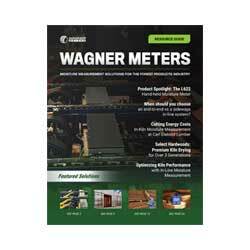 There are certified grading agencies that are routinely in mills checking the lumber. What species of pine is this, and is this actual pine decking, or just pine lumber? Feel free to give me a call at (800) 634-9961 ext. 225.